Happy Christmas or Midwinter party ….in a fun Xmas themed costume. Long beige robe with beige stripe over robe, belt and matching headpiece. 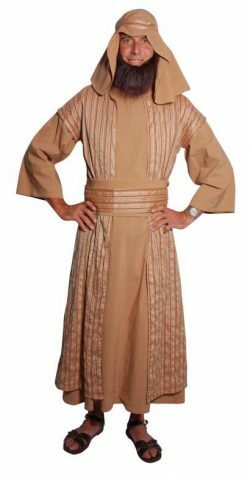 Also a fine looking Wise Man costume if you plan on bearing gifts. 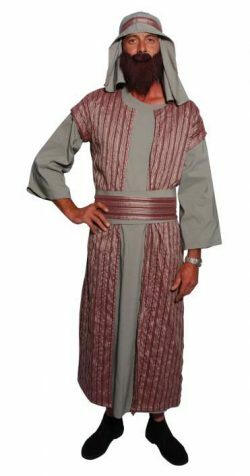 Long moss robe with burgundy stripe over robe, belts and matching headgear. Add a wig and beard set to complete your look. 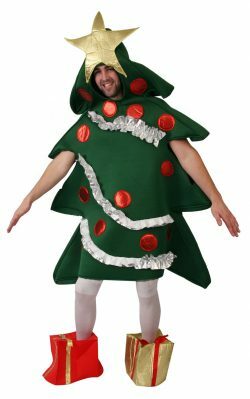 This costume is popular as one of the Three Wise Men for a Christmas theme. 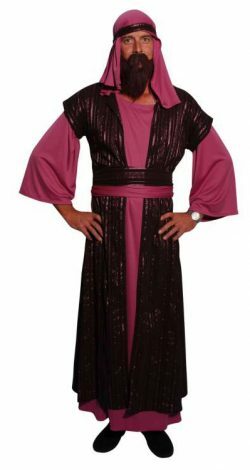 Pink long robe with black stripe over robe, belt and matching headgear. A great costume to be a Wise Man. Cute red velvet mini dress with long bell sleeves and white maribou trim around the neck. Red Christmas print childs clown jumpsuit with matching bonnet hat. Add a silly wig, facepaints and coloured glasses for a fun look. Delightful Christmas elves that have come straight from Santas workshop. Green and red Christmas tops and pants with hats and stockings. From the movie the green and yellow Christmas Elf consists of the jacket, leggings, belt and hat. Christmas Tree jumpsuit with gift box footwear. Be the centre of attention at the next work Christmas party! 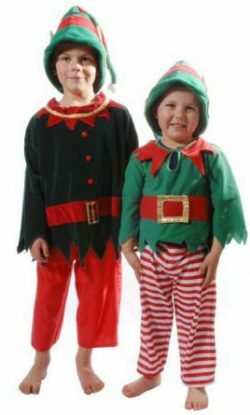 Bright red shirt, matching green waistcoat & knickerbocker style pants with red & white stripey socks make the perfect elf costume. 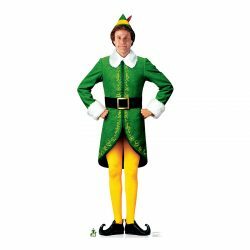 Will Ferrell character Elf costume with jacket, pants, hat and belt. Blue and pink chiffon frill fairy dress with fairy wings and wand. Pink fairy costume dress with tulle skirt and attached wings. Available in black, white and purple also. 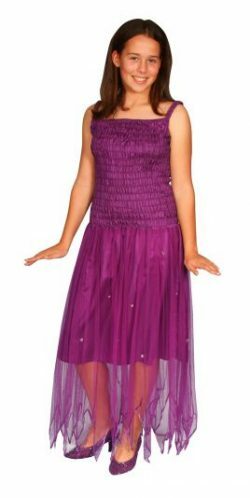 Purple adult fairy dress with tulle skirt and attached wings. Fairytale or Christmas themes always need some fairies! The best fairy of them all – the white fairy. Costume dress with tulle skirt and attached wings. Also available in pink, black and purple. Tis the season to be jolly ….and what a great way to get in on the Christmas action as one of the big guys elf helpers. 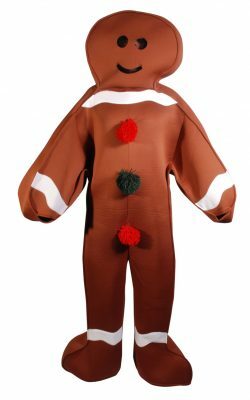 This Gingerbread Man is a one piece jumpsuit with covered hands and feet. He could be used as a mascot or as the character from Shrek. Great costume for a Christmas theme.